Phobias that are affecting your life should be treated by a mental health professional, but relaxation techniques may help ease your anxiety in the short term. Remember that treatment, such as exposure therapy, cognitive behavioral therapy or medication, can take time to become fully successful. 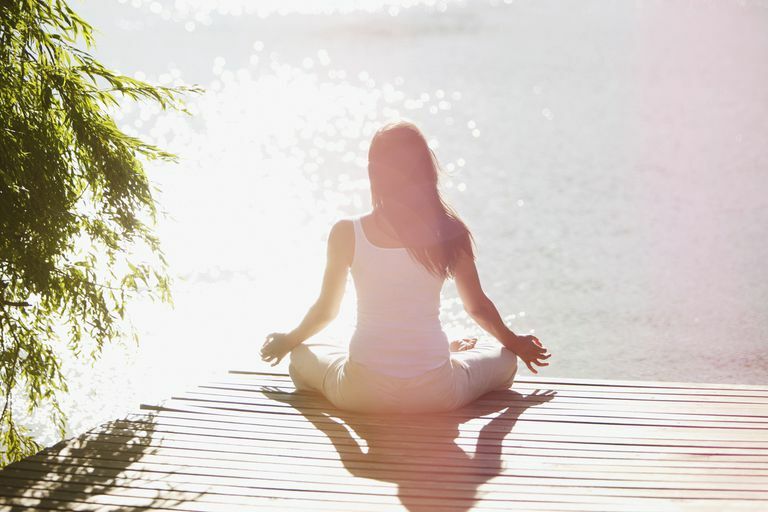 Meditation: Meditation can soothe your nerves, making you more relaxed overall. Although you may still experience a phobic reaction, meditating before facing the situation can make your symptoms less severe. Research shows that mindfulness-based stress reduction (MBSR), which is based in mindfulness meditation, helps people with social anxiety disorder regulate their emotions better, for example. In one study, people who completed a MBSR program were less anxious and depressed - and felt better self-esteem. Yoga: There's early evidence that yoga may be able to help anxiety disorders, which is good news for people with phobias. Like meditation, yoga can help to lower your overall level of stress. Your phobia may still appear, but with regular yoga, your symptoms may be less severe. Visualization: Visualization is the art of taking your mind through a series of soothing images. Some phobia sufferers find that using visualization techniques can help to lessen a phobic reaction that is already in progress. Autogenic Relaxation: Autogenic relaxation involves blending visualization techniques with purposeful breathing and repetitive physical motion. This is tricky to learn on your own, so find out if your doctor or therapist can teach you. Like almost anything else, relaxation techniques are learned skills. Practice your skills as often as possible so that they become almost second nature. Confronting your phobia is never easy, but using these relaxation tips can help you get through a feared situation. Remember, however, that these tips are designed to be used in the short run and are not a long-term alternative to seeking professional help. Simple lifestyle changes can also help you get your phobia symptoms under control. It's important to try to make exercise, proper sleep and healthy meals a regular part of your life. You may also want to avoid caffeine and other stimulants so that you feel more relaxed. da Silva, T.L., Ravindran, L.N., Ravindran, A.V. (2009). Yoga in the treatment of mood and anxiety disorders: A review. Asian Journal of Psychiatry. Goldin, P.R., Gross, J.J. (2010.) Effects of mindfulness-based stress reduction (MBSR) on emotion regulation in social anxiety disorder. Emotion. Self-help Advice for Phobias. The National Health Service. Relaxation Techniques: Learn ways to calm your stress. Mayo Clinic.